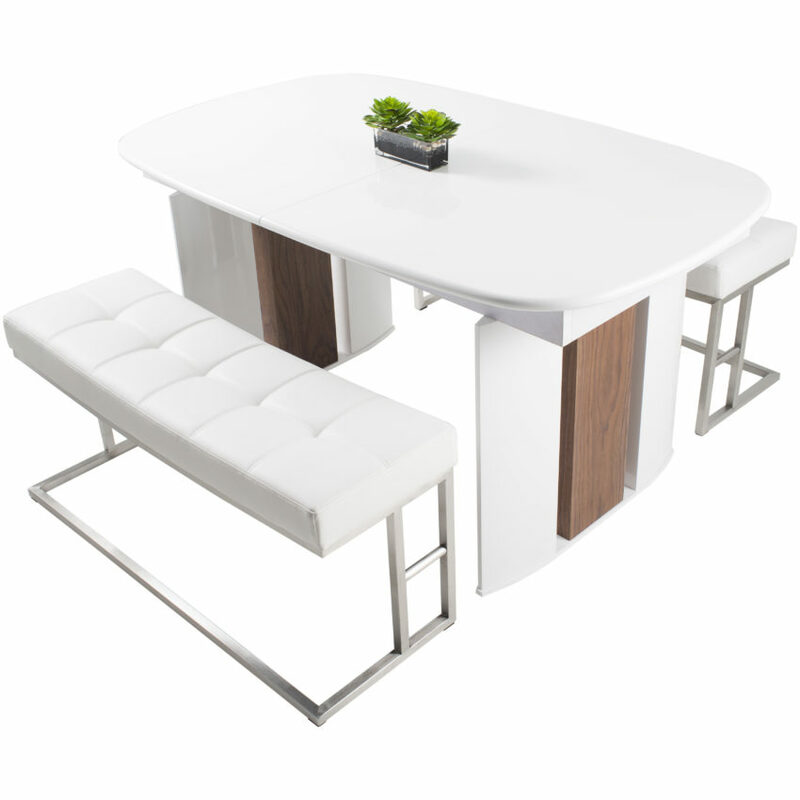 The beautiful walnut melamine veneer and white lacquer top paired with brushed stainless steel oblong shaped legs is a perfect example of well-thought design. 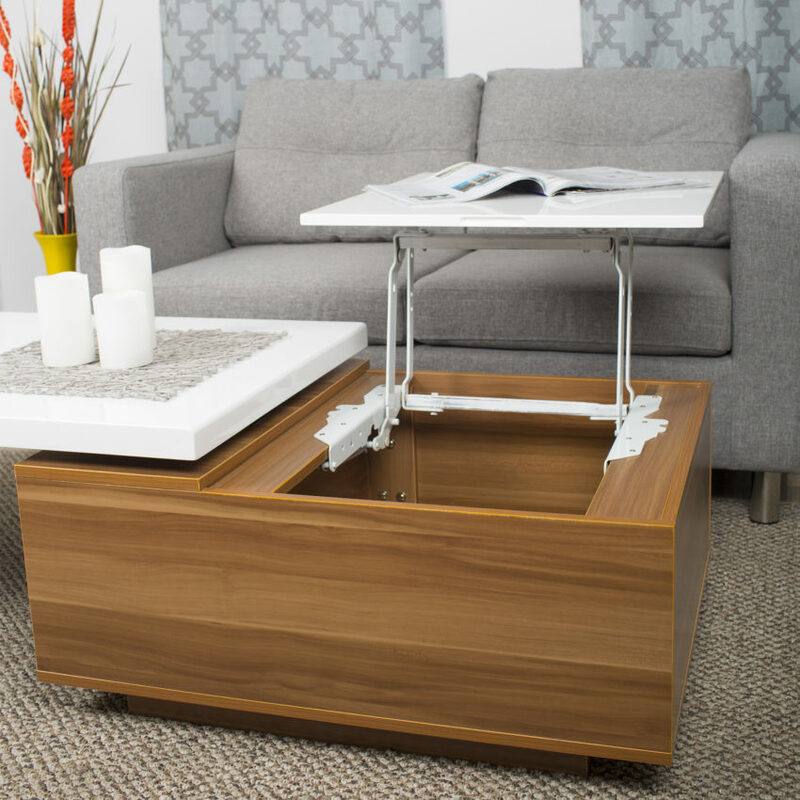 Lift the tabletop to reveal a hidden storage space or turn it into the perfect date night table for two. If you are looking for a stunning and smart piece, Agatha is the one for you.